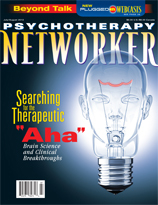 I specialize in writing articles and books about human behavior, psychology and health. Through my work I hope to spark discussion about vital issues, including those we may personally confront but rarely talk about out loud. My writing seeks to open up these conversations. "Accept my thanks for letting me get a great story in the paper--and without lifting a finger! An editor's life doesn't get much better than that." "Everyone's always saying that you have to listen for the inner voice that guides you to your own best answers. Marian Sandmaier will tell you how to actually tune in to that voice." When You're Chronically Ill, How Do You Live? Featured on "The Oprah Winfrey Show"
"A thoroughly original contribution to family psychology." Author, Schopenhauer's Porcupines: Intimacy and its Dilemmas. "Marian Sandmaier understands women and she understands alcoholism, and the combination makes this a perceptive, exciting, healing book." "The Invisible Alcoholics is a pioneering book--one that can change the way we think about women."